Blog Tour: My Sort-of Kind-of Hero - Emily Harper + Kate Spade Giveaway! Emily Harper is back! The popular chick lit author is bringing fans another of her quirky rom-coms in the form of My Sort-of Kind-of Hero. 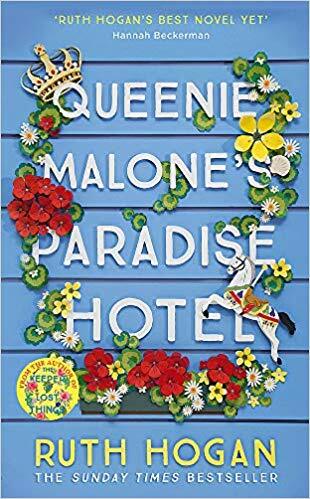 Celebrating the publication with a blog tour, Emily will be hitting some top book blogs for reviews, a couple of guest posts and a fabulous giveaway, including a Kate Spade organiser! 'Etty Lawrence is a bestselling romance author. At least− she would be if she could just get someone to read her books. Apparently, Amazon doesn’t consider the 500 books purchased by your mother to be ‘bestseller’ material. When Etty’s given some simple advice from a friend − write what you know − she takes it to heart. But she’s never been in love before, and she doesn’t really have time to fall in love and write a novel at the same time. So, she convinces her slightly unwilling lifelong friend, Travis, to let her follow him around and witness real love, first hand. A third person memoir, if you will. Travis is the perfect hero for her story: he’s funny, smart, and good looking; only there’s one problem. He says all the wrong things. Does any girl really want to talk about the NHL trades? And his jokes would make a kindergarten class roll their eyes. But the worst part is, Travis’s dates laugh at his corny jokes; the jokes he told Etty first. They touch his sweater; the sweater Etty bought him. And the way these women swoon and gush over him…they obviously aren’t leading lady material. Review: After reading and loving Emily's debut novel, White Lies, I was very excited to read her latest book. With a colourful and cute cover, My Sort-of, Kind-of Hero is a lovely, fun light read. Our heroine, Etty, is really likeable and makes you laugh non-stop with her crazy ideas and not so well thought plans. She is like a breath of fresh air. As for the story, it has this feel-good heart-warming touch that will leave you grinning like a toon. Some of the situations involving Etty trying to sell her books are hilarious and had me laughing out loud. I'm happy that she decided to go for a different genre because her career as a historic romance author wasn't really working. Travis, Etty's brother's best friend, is the real deal: charming, kind, handsome and ready to do anything for Etty (total bookboyfriend material). And the other characters, like Etty's family and friend, give the perfect sparkle to this cute story. I recommend this book and Emily is quickly becoming one of my favourite Chick Lit authors, with fresh stories and lovable characters. I'll keep an eye open for her future work. Emily Harper has a passion for writing humorous romance stories where the heroine is not your typical damsel in distress. Throughout her novels you will find love, laughter, and the unexpected! Originally from England, she currently lives in Canada with her wonderful husband, beautiful daughter, mischievous son, and a very naughty dog. Emily is also the author of the funny and charming novels White Lies and Checking Inn. Giveaway is international. Emily Harper and CandleLit Author Services reserve the right to cancel or amend giveaway details at anytime and without prior notification.